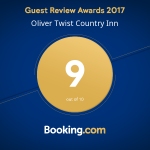 “Selecting a hotel where business meetings can be held in a welcoming informal environment without resorting to bland chain hotels is never easy, and I have to say that I have no regrets in choosing The Oliver Twist”. Whether your stay is just an overnight visit or a weekend away we are confident our facilities will suit your every need, Twin and double rooms are available with some rooms having space for a fold out bed. 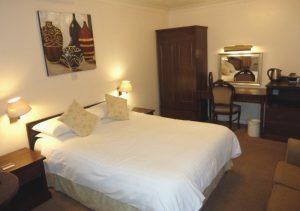 Rooms Rates start at £69.00 per single room, £87.50 per double room and £105.00 per family room Our family room consist of a twin room with the addition of a fold out bed (sleeps 3 persons comfortably). These rates include an impressive complimentary breakfast comprising of, Coffee and Tea, Cereals, Fruit and Fruit Juice all followed by a traditional Full English Breakfast which is cooked to order. Unfortunately we do not allow pets in our accommodation although guide dogs are welcome.